The first time you meet Paul, you start to question your effectiveness in not only work, but in life as well. Fast-paced is an understatement when describing Paul. He just gets things done. After reading Paul’s book 2 Second Lean, you’ll be fired up to adopt the incredible culture Paul and his team have cultivated at FastCap. Our interview with Paul scrapes the surface on Lean Manufacturing, but every piece of advice from Paul is something you can start working on today to improve your business, your health, and your life. Paul’s success with Lean is something he attributes to his passion and curiosity. You have to approach every situation with the mindset, “let’s see what happens.” Be relentless with “what if” questions and never shy away from opportunity. His advice to all business owners is to become passionate hillbillies that stay humble in all circumstances. Find out what happens if you make this change or try this new method. Don't settle for where you are today. What does the future of websites and marketing look like? 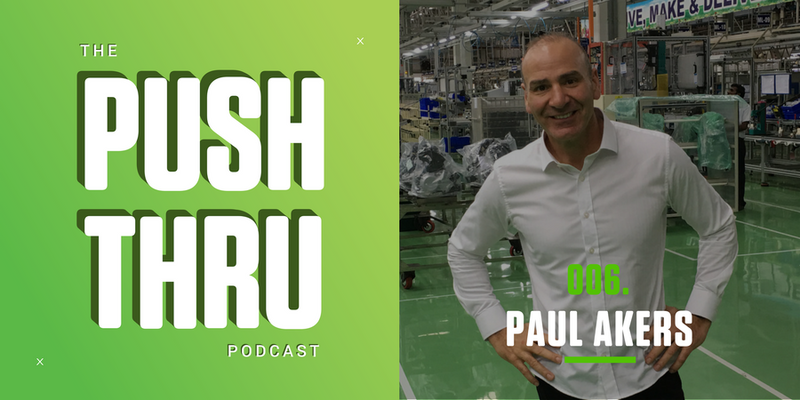 Our interview with Paul scrapes the surface on Lean Manufacturing, but every piece of advice from Paul is something you can start working on today to improve your business, your health, and your life. His advice to all business owners is to become passionate hillbillies that stay humble in all circumstances. Don't settle for where you are today.